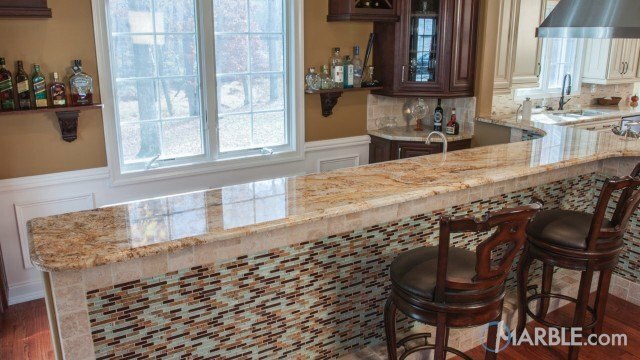 Atlantis is an immaculate granite with a white base featuring intricate gold, orange, and grey veining along with dark brown speckling. 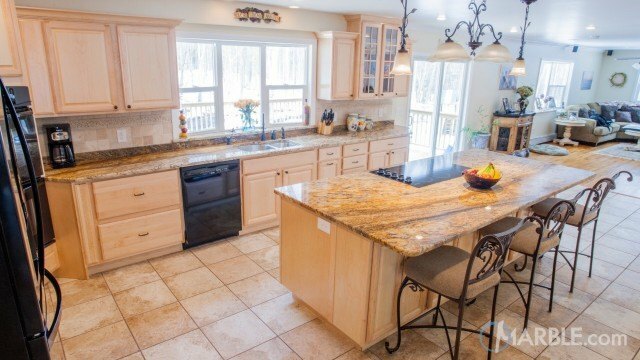 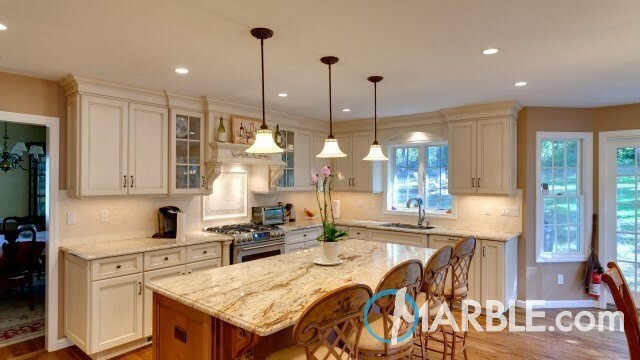 This elegant granite is ideal for countertops in the kitchen or bathroom. 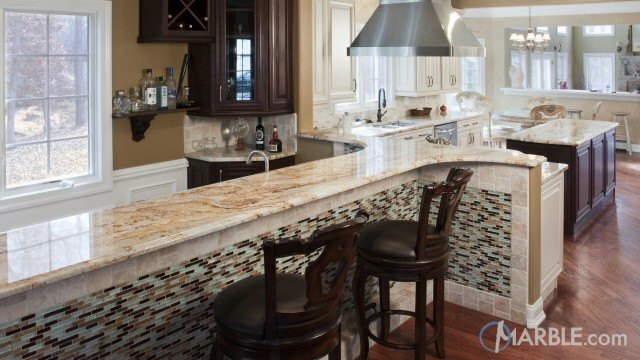 It will also impress as a fireplace surround or floor.